Byron Walker Wildlife Area - All photos by Jim Mason Biodiversity at its best! One of the premier wildlife spots in the state, this site was named for its long-time manager. It has streamside woodlands, native prairies, food plots, shrub plantings, several ponds, a state lake, a developed wetland, and 8 miles of the South Fork Ninnescah River. Birders, photographers, and other wildlife enthusiasts will find many opportunities to see wildlife. Just west of the Penalosa road, an entry drive (red dot on map below) leads south into a scenic portion of the wildlife area. 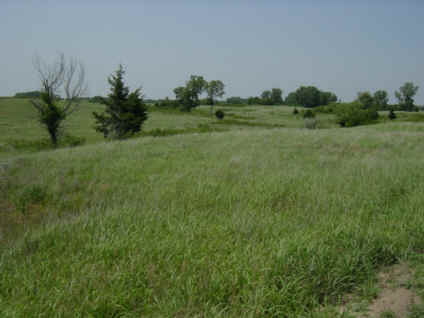 The rolling sand prairie has abundant thickets of sandhill plums. Several ponds scattered throughout the area (blue dots on the map) further enhance the wildlife options. Watch for pheasants, quail, doves, meadowlarks, grasshopper sparrows, and other prairie birds. Running through much of the area is the South Fork Ninnescah River. The sandy-bottomed river runs shallow and clear. Watch for belted kingfishers and herons out-fishing the anglers! Deer are abundant and a wild turkey population is well established. This is a public hunting area, so wear visibility clothing during hunting season. 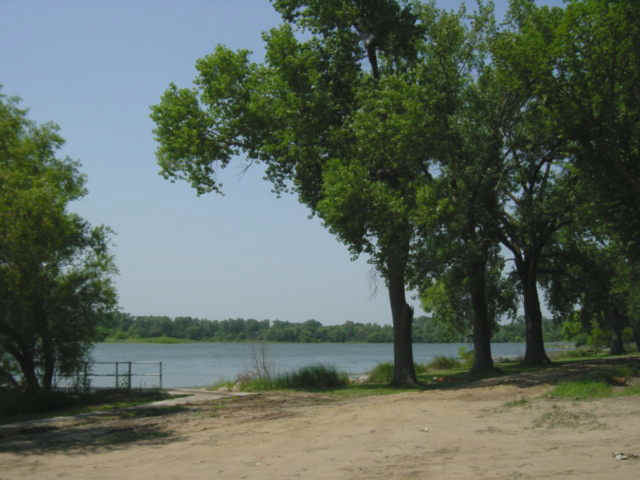 Tall cottonwood trees shade the campground at Kingman State Fishing Lake. Kingman State Fishing Lake is popular for fishing and camping. The woods around the lake support many nesting birds, including Mississippi kites, orioles, kingbirds, robins, and indigo buntings. Eastern bluebirds nest in boxes provided for them. During migrations, warblers, vireos, and flycatchers are abundant. A good way to view the wildlife is to hike the trail beginning at the northeast corner of the lake. The resident raccoons, beaver, muskrats, deer, and bobcats are very secretive, but watch for tracks and other signs. A marsh on the west side of the lake is home to mallards, teal, and nesting wood ducks. While hiking the dikes be alert for rails, grebes, herons, and cormorants, as well as reptiles and amphibians. Painted turtles, sliders, and northern water snakes often bask in the sun. At the water's edge watch for bullfrogs, plains leopard frogs, and tiny cricket frogs. The Great Plains toad and Woodhouse's toad, two favorites of kids, are abundant. In Kansas, an arm of the Southern High Plains reaches beyond the 100th Meridian and squeezes between the Great Bend Dune Tract and the Red Hills into the south-central section of the state. Byron Walker is located within this area. The porous Ogallala sands and gravels in this part of the High Plains work as a sieve that allows water from the Arkansas River aquifer to flow under the Great Bend Dune Tract and charge High Plains streams like the Ninnescah River. Picnic tables, Shelterhouse, Grills, Pit toilets, Boat ramps. Primitive camping. 2 cabins at Kingman State Fishing Lake (make a reservation online). Click the icon to find a birding list for Kingman County. drive 7 miles west on U.S. 54/400. For the Google Map for Byron Walker Wildife Area, click here. For the Google Map for Kingman State Fishing Lake, click here. 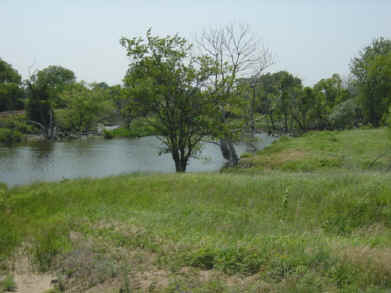 You may download the KDWPT brochure for Byron Walker Wildlife Area and Kingman State Fishing Lake from their web site.